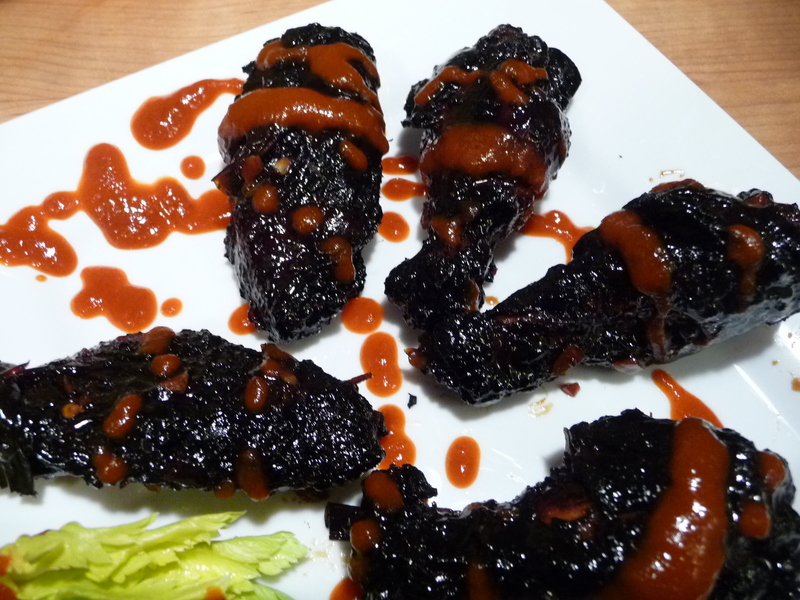 These spicy, garlicky, black wings are first baked, then quickly deep fried to bring out their signature dark black color. Served with a drizzle of Sriracha sauce, they are the most unique wings we’ve made since the Salt and Vinegar wings. Amazingly dark, they are not burnt at all, rather the color comes from the soy sauce and a quick dip in your deep fryer.